Are you lookin' for a home? Sooke Food CHI AGM Next Week! The next meeting of the Sooke Region Volunteer Centre (SRVC) will be held on Wednesday, January 21st, 2015 at the Sooke Family Centre, 6672 Wadams Way, from 5:30 - 7:30 p.m. Agenda and Minutes of the November meeting. Everyone welcome. Please bring food to share, if you can. You are still welcome even if you can't! This is an exclusive, members only, opportunity to participate in a series of free two-hour workshops (maximum of 8 hours) that can be delivered in an evening or on a weekend over the course of a few weeks. Give us your feed back on both time and topic preferences. Other (You can add more topics if you wish, and let others provide suggestions of what they would like to learn). We would like to hear from you. Where could you use a hand up? Are there common needs and gaps. With your input we can be sure to tailor the workshops to your needs. Does your non-profit organization feel a bit like the boll weavil in the old Brook Benton song? "Lookin' for a home, lookin' for a home. Gotta have a home!" If you are lookin' for a part-time home give us a call. We are lookin' to share! The SRVC office is centrally located, fully accessible, substantially equiped and furnished. Rent includes: wifi, cleaning and maintenance, heat & lighting, as well as access to the commercial kitchen and additional 'free' meeting space. There are some building restrictions on who can be a tenant so do come talk with us. We are currently the mailing address for one of our members, Sooke Community Arts Council, and could provide that service to any member at no additional cost. Mail slots are available across from the receiptionist so members can conveniently pick up their mail any time the building is open, not just when the Volunteer Centre office is open. And maybe it is simply filing cabint space for your records you desparately need a home for?! We're not miracle workers but we'll do our best for our members. So if you want to sing "we have a home all right, we have a home" give us a call 250-642-6364 Ext. 235 or sookereigonvolunteers@gmail.com and we'll talk! Our guest speakers will tell us about the Regional Food and Agriculture process and how it fits into the larger Regional Sustainability Strategy. Doors open at 7:00 pm, AGM begins at 7:30 pm. Refreshments will be served (coffee, tea, and cookies). You can review the AGM Agenda, Annual Report and the 2013 AGM Minutes, available below and on our website here. Copies of the Annual Report and Financials will be available at the AGM. Patients as Partners | Patient Voices Network is a Ministry of Health, Patients as Partners initiative administered by ImpactBC. The Network is a community of BC patients, families, caregivers and others who are using their experiences to influence change in BC’s health care system. Through the network, patient volunteers have the opportunity to work openly and collaboratively with health care providers and decision-makers by lending their voice to important discussions around health care service delivery. Activated patients are eligible to participate in collaborative opportunities with health care partners such as advisory committees, focus groups, conferences, or other projects. Anyone is welcome to join the network, because we are all patients. Everyone accesses the health care system at some point in their lives. Many of us have also supported family members and friends in their journeys through the health system. There will be an orientation session held for new volunteers who want to become involved in the Network on Friday April 17 in Sooke. This is a 4 hour session. Location information and details will be forwarded to individuals after they have an initial conversation with Mary Chudley. If individuals register on our website to “Become a Volunteer”, they will receive a phone call/email to set up a time to talk about questions and to get more information. We purposely do not advertise the location of the orientation until individuals have an intake interview. Prior to the orientation session, Mary Chudley welcomes any invitations to speak with community groups or service providers groups about the Network so that people can know and understand the process. Please be in touch with Mary (contact information included). Thank you for your assistance in spreading the word. First press briefing of the Arctic Emergency Methane Group(AMEG) held on Dec. 4, 2014 at the 20th annual Conference of the Parties (COP 20) for the United Nation's Framework Convention on Climate Change (UNFCCC) held in Lima, Peru. Sooke Transition House is seeaking a Stopping The Violence Counsellor (Sooke BC). Check out the details on Craigslist. Wideglide Entertainment Ltd. is seeking a dynamic independent leader for the role of Volunteer Coordinator for Sunfest Country Music Festival. This is a part-time position. 10-15 hours per month from December to March, then April to July approximately 30 hours per week. For more information. Island Health is looking for an energetic, enthusiastic and experienced Manager, Volunteer Resources to manage a large group of volunteers (300-500) in various programs at the Royal Jubilee Hospital. For more information and to apply visit their website. Position is open until filled. As Executive Director, you will be helping prepare the next generation of leaders in our community - a challenge that has become more important during these days of financial restraint and demands for increased collaboration. Leadership Victoria will celebrate 15 years of community leadership development. Put us on the right track to add another 15 years to that record! The Victoria Disability Resource Centre is looking for a part-time, volunteer executive director to manage daily operations. The Centre promotes independent living for people with disabilities through its core programs of information and referral, peer support, employment and community development. Ideal for newly retired person. See www.drcvictoria.com for more information. Boys & Girls Club Services of Greater Victoria is seeking a full-time Supportive Recovery Youth and Family Counsellor. The positions is 40 hours/week at $40,560 to $45,760, depending on qualifications and experience. This position closes on January 19, 2015. Details and information can be found on BGCSGV's website. Boys & Girls Club Services of Greater Victoria is seeking a full-time Turning Point and Youth Prenatal and Parenting Youth and Family Counsellor. The positions is 40 hours/week at $40,560 to $45,760, depending on qualifications and experience. This position closes on January 19, 2015. Details and information can be found on BGCSGV's website. We would be remiss if we did not start with thanking our collegues at the SRVC office for their tireless dedication and support keeping the office open. Without them, and the steering committee members, we would not have made the wonderful progress we have achieved this year! To the non-profits, individuals/families and businesses who became members this year, we look forward to continuing to develop our relationship with you, learning more about your strengths, challenges and goals. We heard from you, our community of volunteers and organizations, loud and clear! This year we opened the Volunteer Centre office on a part-time basis, in an existing facility at an affordable rate! This enabled us to have more presence in the community, providing avenues for connection, face-to-face and telephone, not previously available to seniors and others who are not inclined or able to use the internet. The 3rd annual Volunteer/Non-Profit Fair during National Volunteer Week, provided space for 22 loca l organizations to showcase their activities, network with other community leaders and connect with approximately 100 new prospective volunteers. A 'Members Only' page on the community resources website made it easier for members to track minutes, agendas and other internal documents without having to keep their own files. Development this newsletter reduced emails while keeping you well informed of changes, opportunities and news of importance to the volunteer and non-profit sectors. In September the 'Grand Cook-Off' collaborative fundraising event brought a number of organizations, businesses and individuals, including 14 UVic students, together to bake and preserve a massive amount of food in one day. The resulting products were sold to raise funds for participating organizations who wished to share in the proceeds. Although several non-profits supported the event only two organizations, Sooke Therapeutic Yoga Society and SRVC chose to share the proceeds. Due to a change in our accounting system the final report has not been completed. For the second year, we worked with Mel Dobre, Sooke Harbour Players, Edward Milne Community School and the Journey Middle School Band to raise over $11,500.00 for the Sooke Food Bank via the Barney Bentall Grand Cariboo Oprey event held in November. During the year we have written grant applications with an eye to activities that would benefit the broader volunteer/non-profit community. We will keep you informed on the progress of these applications. We look forward to hearing from our membership on other opportunities and ideas to collaborate on. During the course of our first year thirty-eight people attended at the office for interviews and direction. We also provided assistance to others through emails and telephone calls. In addition we received confirmation from individuals and organizations of people finding rewarding connections through the Volunteer Opportunities listings on our website. These are a few of the highlights of our first year. We look forward to working with our members, developing deeper connections, finding pathways to fulfill goals and aspirations, and learning together. This rendition of the parable of the long spoon from Shareable demonstrates the philosophy of the Sooke Region Volunteer Centre. The dynamics of volunteering is changing. A different approach is needed, together we can do more! We wish you all a memorable and successful 2015! 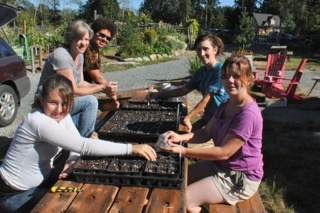 The SRVC is a one-stop community centre linking potential volunteers to rewarding opportunities within the Sooke Region and supporting the organizations that engage them. As more organizations, businesses, individuals and families become members we will have a better idea of the strengths and challenges we have in our communities. These will direct further development of the centres priorities, policies and proceedures. Initial screening and referral of potential volunteers to organizations and activities that suit their areas of interest. We provide contact information for any and all organizations that fit their criteria. We leave the rest to you! Opportunities to create organization, event and volunteer opportunities listings in the community website. The organization listing is especially helpful for organizations that do not have a website and it provides additional free (to you) promotion of organizations that already have a web presence. Support in creating listings on the community resources website. Display of your pamphlets and printed material at the SRVC office. Additional support in creating effective listings on the community resources website. You have a voice! With membership you can help direct and shape future of the volunteer centre through participation in the development of policy, programs and procedures. Enjoy the annual networking and social interaction at the annual Sooke Region Volunteer/Non-Profit Fairs, together with free 4’ table display space. Benefit from engagement in other networking, collaboration and training opportunities, up-lifting us all, moving past feels of lack, loss and frustration! Getting together with like minded people inspires and rejuvinates everyone. You receive the benefit of group discount rates in Volunteer Victoria training opportunities through your membership with SRVC. Further discounts and benefits will be added as they are developed. Thank you to those who attended Wild Apricot's expert webinar on Recruiting Members for Keeps with Patricia A. Hudson, MPsSc, President Melos Institute. Ideas inspired by the webinar were discussed afterwards. We now have a link to the video so members can still benefit from the webinar and templates provided even if they were not able to attend. Contact us at sookeregionvolunteers@gmail.com to become a member and learn about this and other member benefits. Hospice Fundraiser: Sooke Soil and Landscape are disposing of Christmas Trees for a donation, all proceeds go to us the Sooke Hospice Society. Please let all your family and friends know, if you have face book could you please post this information. 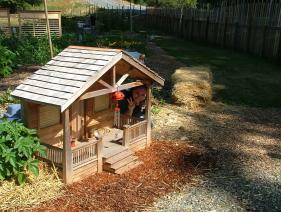 Sooke Soil and Landscape is located at 2800 Ramsden Road phone 250 642 6600. PlanH is a partnership between BC Healthy Communities Society and Healthy Families BC, and is informed by health authorities and other key stakeholders. Check out their downloadable guide. The Sooke Branch #88 of the B.C Pensioners & Seniors Organization official closed its books after 50 years serving the Sooke region and providing a local voice in matters important to seniors specifically and all of us generally. Shirley remains a member of the provincial organization and provides intersting articles and links for your consideration. Visit the Zero Cottage and more! ZeroCottage is an ambitious project of David Baker and Partners, Architects to create the first Net Zero Energy, LEED Platinum, Green Point Rated, PassivHaus Certified Residence in San Francisco. Also from Shirley: a Robyn Allan vido on pipelines and oil tankers. Boys & Girls Club Services of Greater Victoria is seeking a part-time After School Care Program Leader for Harbourside Club. The positions is 16.25 hours/week at $16.00/hour. This position will remain open until filled. Position starts on January 5, 2014. Details and information can be found on BGCSGV's website. The non-profit Job Options BC program at WorkLink Employment Society is currently recruiting for our paid employment program that starts on Jan. 5th, 2015. This program is open to both Westshore and Sooke residents only. Would you be able to print our attached flyer and post it where the public can view it? We really appreciate your help in getting the word out there. It is a great program that helps people get trained to enter back into the labour market while receiving income to supplement their work search efforts. We have signed up for a webinar on refcruiting and retaining new members. Join us for a free to members j(Non-Member Fee: $10.00) live webinar on Thursday, December 11th,2014 at 10:00 a.m. with Patricia A. Hudson, MPsSc, President Melos Institute and discover how simple changes in the recruitment conversation can make all the difference. Recruiting new members is so much more than “selling” a membership. The way you recruit has a direct impact on the way new members participate…and whether or not they renew. RSVP to sookeregionvolunteers@gmail.com. Members may send more than one respresentative. Does anyone know if the Shirley Fire Department will also be doing a run on this day? I haven't heard. For those in the District of Sooke and Otter Point & East Sooke areas, your local fire departments will be doing their annual Santa/Candy Cane Runs on Saturday, December 13th. For more details on the routes and times check out the listing on the community resources website. You probably saw this in the Sooke News Mirror about the BC Pensioners and Seniors Organiation Br. #88 (formerly the OAP Organization) closing down after 50 years of service! The article hits some of highlights of what this group has done for our community over the years, and for seniors specificially. Is it not ironic in this time of the largest sector of people entering 'senior-hood' in the history of the world, that one of our seniors based organizations is folding?! We can only say we are sorry, and thank you for all the hard work that you (all those who helped over the decades) did for the community at large and seniors specifically! Good luck and good rest! It is not only seniors organizations that are having troubles fulling the board of directors positions. This is a growing challenge across the nation, possibly across the world. That doesn't mean there are not solutions and rethinking the task is likely one of them. The Sooke Region Community Health Initiative (CHI) understood some of the challenges facing volunteer based organizations and has been taking steps to find creative solutions. One of those was to open our very own Sooke Region Volunteer Centre. On top of that Sooke Region CHI recently merged with a registered cooprerative charity and now has a Board of Directors for the first time! We are all eager to learn together! This is a sad farewell to the B.C. 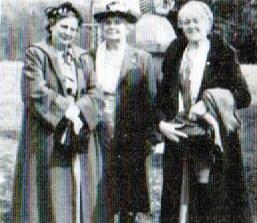 Pensioners and Seniors Organization members and board of directors. We hope to see you again soon in happier times! Christy Clark is trying to change the BC Society Act to give deep-pocketed interests new powers to drag any community group that opposes them into court. The changes would allow private interests to sue environmental and community groups for opposing their projects, tying those groups up in expensive court battles. Environmental organizations, neighbourhood associations, churches, you name it -- they could all find themselves targeted if Clark’s plan goes through. The potential impact of this policy is chilling. It could effectively muzzle free expression and public debate across British Columbia, striking at the very heart of our democratic values and giving unprecedented power to those with the deepest pockets. This is wrong and the NDP is going to fight it. But we need your help. Please visit www.DontMuzzleBC.ca right now to add your voice and show Christy Clark that we won’t stand for this. This plan affects over 27,000 groups across the province. It could bankrupt small community organizations, muzzle public dissent, and force non-profits to fight against constant legal proceedings from anyone who disagrees with their work. The legislative session ends this Thursday, and we have a simple goal: get as many people as possible to join our campaign before the legislature adjourns. Please add your name to www.DontMuzzleBC.ca now to send Christy Clark a message before it’s too late. With your help, we can stop this. The Mustard Seed is seeking a full-time Shipper Receiver. Position is 37.5 hours/week. Closing date is Dec. 13 or when suitable person found. Please click here for details and application process. The MS Society is hiring a Community Services Coordinator in our Client Services Department. 28 hours per week. Deadline is December 28th. For information, please check here. This illustrates how truly fortunate we are! On the Move, the CRD Regional Transportation Newsletter. Sooke Region Chamber of Commerce is again hosting the 2014 Sanata Parade in down town Sooke. The parade starts at noon, leaving from Sooke Elementary School parking lot.and ending at the Sooke Community Hall, Eustace Road. Refreshments will be available af the end of the parade. Sooke Harbourside Lions will serving. The proceeds going to the Christmas Bureau and Sooke Food Bank. If possible, please bring a non-perishable food item to donate to the Sooke Food Bank/Christmas Bureau. To participate (by entering a float, walking in the parade or volunteering to help with the parade or refreshments afterwards), please contact Aline at info@sookeregionchamber.com or call 250-642-6112. The parade is brought to you by the Sooke Region Chamber of Commerce and sponsored by the District of Sooke and EPCOR Water Services. Click here for a route map. Click here for a detour map. Sooke Region Volunteer Centre (SRVC) members are invited to call our office to book an appointment for a 1/2 hour consultation to review our granting database GrantStation. Come tell us what you are looking for and we shall see if we can find you some additional sources. To book your appointment leave a message at 250-642-6463 Ext. 235. As a newly developing organization we are still working on our official membership package. We have been offering a number of services for some time with no membership requirement. Some of these, like listings on the community resources website www.sookeregionresources.com will remain open to all regional non-profits at no cost to them. Other services are being developed or expanded on to provide additional benefits to members. Individual and regional non-profit membership is $25.00 per year. Join us for a free live webinar on Thursday, December 11th with Patricia A. Hudson, MPsSc, President Melos Institute and discover how simple changes in the recruitment conversation can make all the difference. This week is Medicare Week! On Tuesday, hundreds of public health advocates will arrive on Parliament Hill to ask our politicians to commit to protect and strengthen our universal public healthcare system during their election campaigns. They need your help to stop the sabotage of Canada’s healthcare. Email your MP and all the party leaders today to show that Canadians will support politicians that make universal public healthcare a priority in the 2015 federal elections. Our healthcare is being sabotaged by the federal government, and facing legal attack in the courts. From the Harper government’s deep budget cuts, to a lawsuit in BC that could shatter the legal foundation of Canadian public health care, our healthcare system is facing attacks on various fronts. Now Leadnow is joining with the Canadian Health Coalition and other public healthcare advocates to fight back. 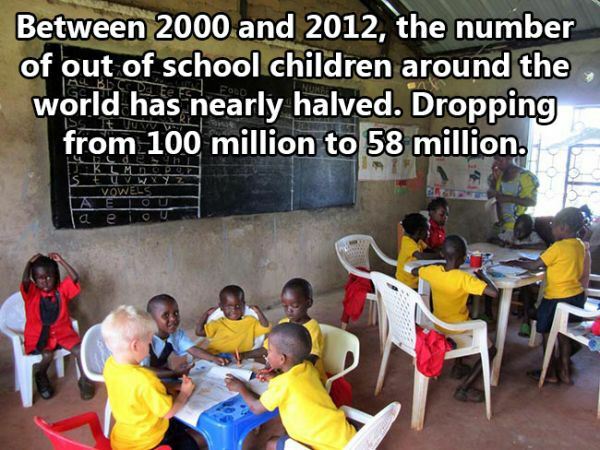 It is amazing when you put things in perspective......We are lucky! Take a deep breath, let it out and say 'Ahhhhhhh! Global statistics reduced down to something that is relatable. 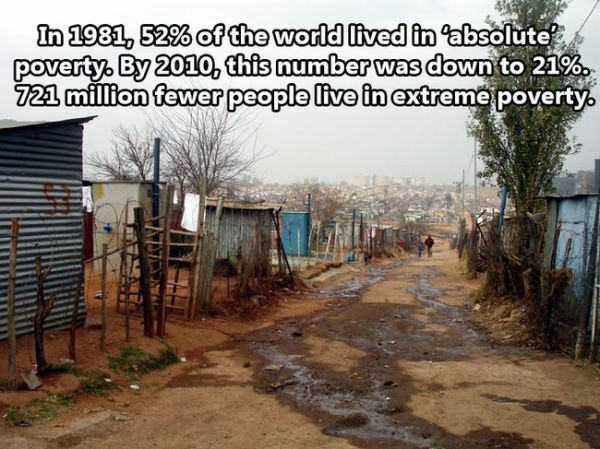 This illustrates how truly fortunate we are. Vital Signs is an annual community check-up conducted by community foundations across Canada. It measures the vitality of communities in key areas, providing critical information that can help set priorities and identify opportunities for action. Yesterday, 27 community foundations across Canada launched their own local reports. The Victoria Foundation released its 9th edition of the report, sponsored by Island Savings Credit Union. This year adds results of the first ever Victoria Capital Region Community Wellbeing Survey conducted earlier this summer. The Vital Signs report combines public opinion with statistics and relevant facts to provide a snapshot of the livability and wellbeing of the community. Back again for the sixth year is a special eight-page Youth Vital Signs section that examines what people aged 15 to 24 think about life in Greater Victoria. Visit our website to read the report, and for a complete listing of all indicator sources. Welcome to On the Move, the CRD Regional Transportation Newsletter. This quarterly publication will provide you with information on news, events, resources and stories related to multi-modal forms of travel. Feel free to share this newsletter and provide us with ideas for future content. Enjoy! Sooke is mentioned in this issue a couple of times. How healthy is your Board of Directors? 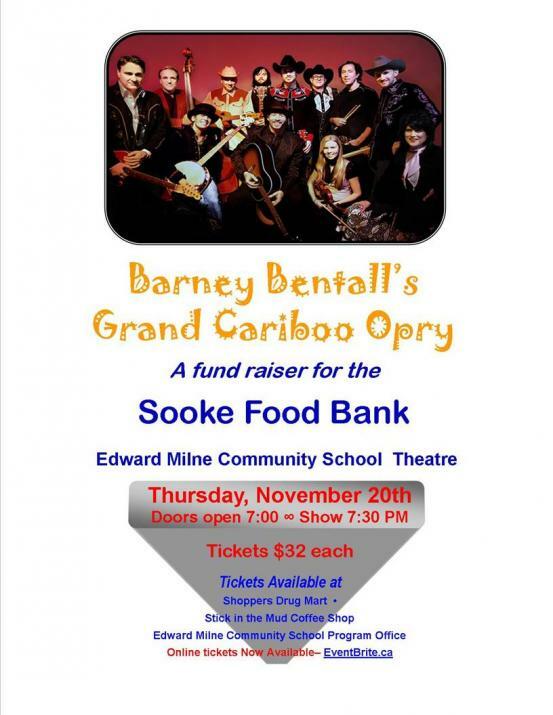 Sooke Food Bank Fundraiser: Barney Bentall's Grand Cariboo Oprey at the Edward Milne Community Theatre on November 20th, 2014 doors open at 7pm...show starts at 7:30pm. 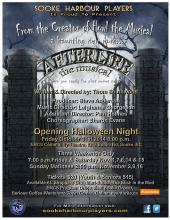 Tickets are on sale now at Sooke Shoppers Drugmart, The Stick in the Mud Cafe and through Eventbright. This event is brought to you by Mel Dobre, Sooke Harbour Players, Sooke Region Volunteer Centre and the many businesses and individuals who sponsored songs. Don't miss your chance to attend this lively event here in Sooke. 10 a.m. to 4 p.m. in the newly renovated Diningroom of the Sooke Community Hall. Click here for more details and to book your table to sell your non-profit tickets and fundraising items. T ’Sou-Ke Arts Group (TAG) Presents the 6TH Annual Christmas Art’s & Crafts Show, Saturday, Dec. 6, 2014 10 am to 6 pm, 6221 SOOKE Road. To book your table contact llbristo@gmail.com (note it IS llbristo NOT llbristol). Cost $25 per table space. Here is another opportunity to fundraise while helping fundraisers! Grand Cook-Off Collaborative Fundraiser: We now have our Island Health approvals to see the jams made at the September 27th event. For Sale: Yellow Plum Jam, Prune Plum Jam and Blackberry Jam (already wrapped for Christmas gifts) $4.00 per jar. Also individual serving sized, fresh frozen blackberry-appl crumbles $5.00 each or 4 for $15.00. Proceeds to to support the Sooke Region Volunteer Centre and the Sooke Therapeutic Yoga Society. To order please contact sookeregionvolunters@gmail.com, or stop by the Volunteer Centre office on Tuesday or Thursday afternoon, or stop by the Ahmisa Yoga Studio in the new Hope Centre on West Coast Road. Click here for a poster which we hope you will be able to display and share. 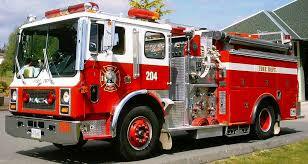 Sooke Volunteer Firefighters are selling a 2015 wall calendars to raise funds for the Fraternidad De Bomberos project. At $20 each, these 13-month calendars glossy colour 2015 calendars are available during the day at the main fire hall at 2225 Otter Point Rd, at The Stick in the Mud coffee shop, at Western Foods customer service desk, at the Sooke Craft Fair, or by delivery (orders can be placed on Twitter @FDBSooke, or by phone at 250-642-5422 or on the Sooke firefighters Facebook page). Payment in cash is preferred. In 2013, six firefighters participated in a trip to Panama, where they trained local firefighters in a small village there. In 2015, six to eight firefighters will participate in the rewarding pro-gram (including three who attended in 2013). This information was collected from the Sooke Voice News. Join us on November 19 for Virtual Food Connections – a full day of webinars and live discussion about food security issues in rural communities. Sooke Food CHI is hosting this year’s Food Connections, an annual conference intended to support food security efforts – join us in person or participate online from your home or office. Everyone is welcome – local governments, non-profit organizations, public health professionals, community food security advocates, educators, farmers, fishers, food retailers and people interested in food! It might seem like a strange place to advertise this but it's harder to get the word out to the more spread out communities so any opportunity seems like a good opportunity. The Whole Kids Foundation believes that student involvement in school gardens fosters a relationship between students and their food. Created in partnership with FoodCorps, the Whole Kids Foundation Canadian School Garden Grants program provides $2,000 grants to support new or existing edible gardens on school grounds. In order to be eligible for support, gardens must be edible school gardens (growing fruits, vegetables, herbs, grains, etc.) and be located on the grounds of a nonprofit Canadian primary or secondary school, including public, private, religious, and charter schools. Eligible applicants include Canadian public schools, public charter schools, private schools and private charter schools with charity nonprofit status, and charity nonprofit organizations supporting a garden at a public or a nonprofit private school. Applicants do not need to be located in a community with a Whole Foods Market in order to apply for School Garden Grant. Applications must be submitted online by November 30, 2014. Many organizations are seeking new members for their Board of Directors. It is the top area of concern with the changing dynamics of volunteering. One of our area's longest standing non-profit organizations is about to fold due to its inability to find people to be on its Board. If you are already a Board member, it may be helpful to review the health of your Board before you reach your next annual general meeting. If you’re interested in volunteering on a board, first consider your skills, interests and experience. Board members should know an organization’s history and mission. And they should understand the board’s role before joining. Volunteer Canada has more information to help with both scenerios. Registration for Sooke Santa Parade Sunday, November 30th. 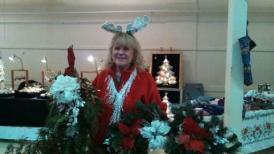 Sooke Philharmonic Society is selling poinsettia, wreaths and arrangements. We are selling these as a Christmas fundraiser and would appreciate your support if you’re interested. Everything you want in a great musical! Action! Adventure! Drama! Comedy! Fantasy! Romance! Even a sword fight! And, of course, awesome music! An all-ages show, with an all-ages cast! Written by local playwright and songwriter, Thom Southwood. Sooke Santa Parade Sunday, November 30th. Please mark your calendar for this year's annual Sooke Santa Parade on November 30th! The parade starts at noon from Sooke Elementary along Sooke Road to Shields Road, culminating at the Sooke Community Hall of Eustace Road where hot dogs and hot chocolate will be available. Please see the attached registration form for more information and to participate. There is no charge to participate. If you know of anyone who is interested in participating in the parade with a float, vehicle, walking group or as a volunteer, please forward and share the attached form to submit to the Chamber office. vii) emergency response services.Open Space meetings allow participants to express diverse opinions, self-select into discussion groups, work through each issue and, at day’s end, reach firm and meaningful conclusions. Invites to the event were extended to Transition Sooke members, election candidates and to the community at large via ads, bulletin-board posters and social media. This question is designed to allow the electors of the community an opportunity to give direction to the newly elected Council as to whether or not the renovation of existing buildings and / or construction of a new building for multi-use purposes is a community priority. Representatives of community groups and non-profit organizations have been working to assess the needs of the community. Involving community groups in the process from the visioning stage to planning and beyond is of primary importance to ensure community ownership of the project. Extensive work is required to expand on information already collected, including a full review of existing facilities, further exploration of sharing opportunities, detailed functional planning, location identification, prioritization, as well as funding opportunities. 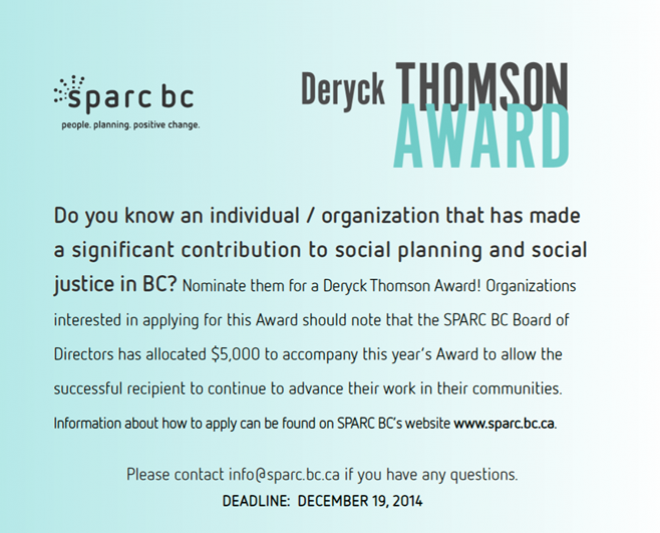 The Deryck Thomson Award was established by the SPARC BC Board of Directors to recognize individuals and organizations that have made a significant contribution to social planning and social justice in BC. December 19th, 2014 is the deadline for submissions and winners will receive $5,000.00 to help continue their good works. Click here for more information and here for the application form. 10:00 - 12:00 at the Prestige Hotel, 6929 West Coast Road. Do you want more information on Primary Health Care Services in the Sooke region? The Primary Health Care working Group will be reporting back on their achievements since the 2013 'A GP for Me" forum, and to discuss current and planned initiatives. Opening Oct 31 for 9 shows - tickets on sale now! Including online throu Eventbright. Written by local playwrite, Thom Southwood, See Sooke News Mirror article for full details. For more information please contact Steve Anderson at: elwinander@hotmail. Barney Bentall Grand Cariboo Oprey in Sooke November 20th, 2014 7:00 p.m. at EMCS Theatre. Food CHI looking for input on their strategic plan. 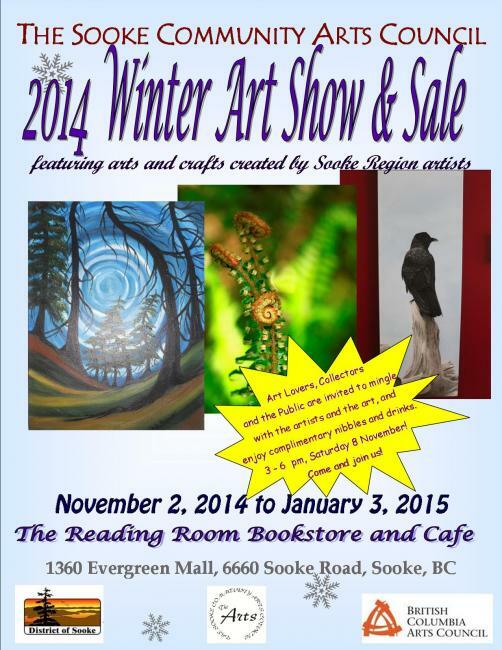 Sooke Community Arts Council looking for poster art for Winter show and sale! 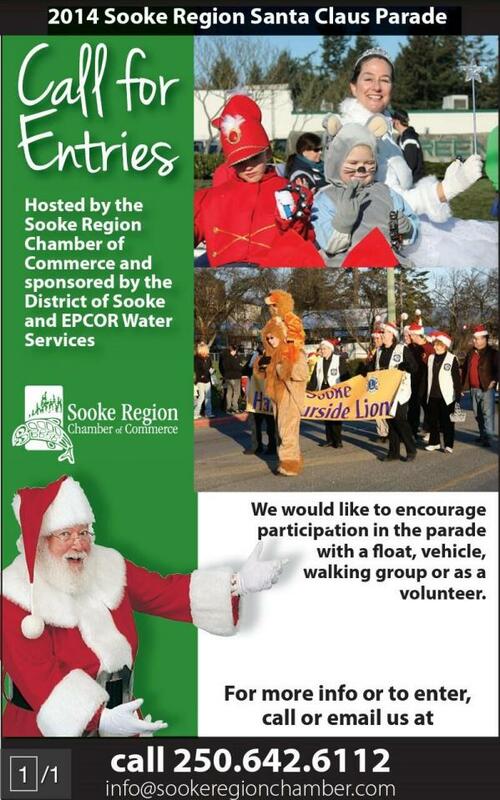 Annual Sooke Santa Parade on November 30th! Thank you and welcome to our newest member, Jane H.
Food CHI is looking for input on their strategic plan. to donors to help fund grant applications. Please spread the word! The Victoria Foundation has put out a plea to donors to help fund some of the grant applications, including our own project to convert gallery lighting to LED (and a beautiful picture by Ken Miner, as well). LED has been a hot topic the last few years and the technology has improved greatly, to the point where LED lighting is virtually indistinguishable from more conventional lighting, making it appropriate for our gallery setting. We are now creating the posters for our Winter show and sale and are looking for artists to contribute their work. Please submit your work as soon as possible to help celebrate this exciting event! Contributing artists will be acknowledged on the poster. Mail can now also be dropped off at the Sooke Region Volunteer Centre office in the Family Centre, 6672 Wadams Way, Sooke (new entrance) in the mail slot across from reception. 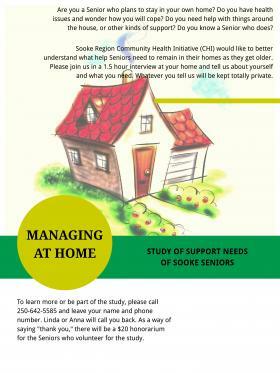 are looking for more seniors to interview for their Study of Support Needs of Sooke Seniors. Are you a senior who plans to stay in your own home? Do you have health issues and wonder how you will cope? Do you need help with things around the house, or other kinds of support? Do you know a senior who does? This is local research to guide us in addressing the real needs of Sooke seniors. The 1.5 hour interview at your home will be kept totally private and we will give a $20 honorarium to the seniors who volunteer for the study. If you are interested please call 250-642-5585 and leave your name and phone number. Linda or Anna will call you back. Are you interested in finding out more about the referendum question: Would you spport the District of Sooke working with community to develop multi-use community centre facilities? A public information session is bein held at the Sooke Community Hall, Sheilds Road, on Tuesday, October 28th, 2014 at 7:00. This information session is hosted by the District of Sooke and a number of local organizations interested in improving our community facilitites. The Sooke Senior Drop-in Centre started the discussions with their Visioning Document. Let's see what can be done over time to improve space for the benefit of all. The Sooke Primary Health Care Working Group will be holding a Public Forum to report back on their achievements since the 2013 “A GP for Me” forum, and to discuss current and planned initiatives. Community members are invited to participate in roundtable discussions on local health care priorities and will learn about opportunities for participation in organizations that are working to build a healthy community. via Shirley Lowe, President, B.C. Pensioners & Seniors Organization, Br. #88. 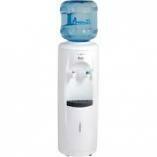 The writer believes there are serious implications especially environment focused organizations. More detrimental interference by governments! Not sure if you have heard about this but 'non profit societies' might want to take heed. 2014 BC Seniors Games: Everyone Wins! Eight More Age-friendly Recognized Communities in B.C. "The Newcomers Club is a get-together for relatively new residents to the Sooke region (3 years or less) to meet with other newcomers as well learn about our local community in the areas of history, recreation, volunteer opportunities, local amenities, services and businesses, along with other topical items that are important to the future of the community and its residents." Anual Sooke Santa Parade on November 30th! With the holidays just around the corner, please mark your calendar for this year's annual Sooke Santa Parade on November 30th! The parade starts at noon from Sooke Elementary along Sooke Road to Shields Road, culminating at the Sooke Community Hall of Eustace Road where hot dogs and hot chocolate will be available. BC Hydro encourages you to support this Organization and win! Cowichan Energy Alternatives (CEA), a non-profit organization, is focused on providing energy & greenhouse gas (GHG) emissions inventories & planning services, renewable energy feasibility studies & implementation, & leading community carbon offsetting initiatives through Community Carbon Marketplace (CCM). They recently conducted assessments on Sooke facilities including the Sooke Community Hall. Classrooms can win $1,000 by entering Community Champions and supporting this organization. Learn about the Community Champion finalists and tell us which video inspires you to take action and start a sustainability project in your school. If You Build It, an inspirational video about building community by....building community! It is great for our youth and great for us all! And timely as well. Next Sooke Region Volunteer Centre meeting Wednesday, October 15th, 2015 5:30 - 4:30 at the Sooke Child, Youth & Family Centre, 6672 Wadams Way (new access - come to reception end of building). Bring snacks to share if you can. Meeting is open to all. Email sookeregionvolunteers@gmail.com if you haven't already received the Agenda and Minutes and would like to view them prior to the meeting. This is not the best shot though it is of us celebrating securing part time office space! Welcome to our newest members, Sooke Community Arts Council and Bev L. as our first individual member. Welcome! Sooke Community Arts Council brought us a challenge that we had not considered organizations may be in need of. That is: a place to drop things off. More specifically in this case mail that people did not want to put into Canada Post. This is a service of membership, the details of which can be negotiated e.g. we can't (at this time) handle large items. This is a project of the Primary Health Care Working Group, a project of Sooke Region CHI. They are still looking for more at-risk seniors to interview. Sooke Region Community Health Initiative (CHI) would like to better understand what help Seniors need to remain in their homes as they get older. Please join us in a 1.5 hour interview at your home and tell us about yourself and what you need. Whatever you tell us will be kept totally private. To learn more or be part of the study, please call 250-642-5585 and leave your name and phone number. Linda or Anna will call you back. As a way of saying “thank you,” we will give a $20 honorarium to the seniors who volunteer for the study. Sharing the Wealth: The Grand Cook-off Collaborative Fundraiser held on September 27th is proving successful. We have blackberry-apple crumbles for sale ($5/each or 4/$15) and will have blackberry jam and plum jam ($4/jar) for sale once they have been Island Health tested. Contact sookeregionvolunteers@gmail.com to order. Food CHI is looking for input on their strategic plan. To view their newsletter click here. To go straight to their survey click here. 1. Sooke Region Community Health Initiative (CHI) is looking for a Leadership Development Coordinator. Expressions of interest are invited from qualified individuals (the “Proponent”) to provide leadership and development services for the Sooke Region Community Health Initiative (CHI) for an 8 month period, ending June 30th. This term may be extended subject to funding and performance. Deadline for submissions is: October 21, 2014 For full details click here. The Board Voice Society of B.C. is looking for a P/T Executive Coordinator to oversee and coordinate the activities of Board Voice and provide advice and support to the board of directors in their activities. This is an exciting opportunity for a motivated individual to help build an innovative provincial organization. Closing Date: October 19, 2014 For full details click here.